Juvéderm™ is a dermal filler in the form of an an injectable gel, and is classified as a “next-generation” dermal filler. Juvéderm is made from Hyaluronic Acid, which is a substance naturally occurring in people’s skin that helps to add volume and hydrate. Hyaluronic Acid is a component contained in all living cells and occurs naturally in the human body. For this reason there is no need for skin allergy testing before receiving a Juvéderm injection. Hyaluronic Acid is a sugar molecule that attracts and binds with water, thus hydrating the skin and increasing volume in the region of the injection. In a totally natural, but not definitive way, Juvéderm™ will restore the sensuality of your lips and smooth curves to your face. Through a simple injection, without a prior test, minor imperfections and signs of ageing are softened very evenly. Juvéderm™ injectable gel is used most effectively for those wrinkles and folds in the lower third of your face, like your “laugh lines”, “smile lines” or “parentheses” (nasolabial folds), or “marionette lines” (oral commissures). Firstly, it is important to understand that because Juvéderm™ is a simple, non-surgical treatment, there is minimal recovery or downtime. Before the treatment: One week prior to your Juvéderm treatment, if you are currently taking high doses of Vitamin E, aspirin, and other non-steroidal anti-inflammatory medications, such as ibuprofen, these should be stopped. Such products can increase bruising and bleeding at the site of the injection. Although anaesthetic is not a requirement, your health practitioner may use a topical or injectable anaesthetic to numb the treatment area prior to the procedure. The procedure: Your healthcare practitioner will ease the Juvéderm™ gel below your skin so as to augment it or to fill wrinkles and folds. Following the injection, your healthcare practitioner may gently massage the regions of the skin that have been treated. 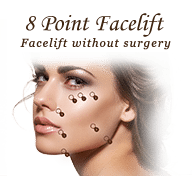 The procedure itself is quick and easy, with the injection itself typically taking only about 15 minutes. Following the treatment: Employing Juvéderm™ there is negligible recovery or downtime. However for the first 24 hour period following the treatment, strenuous exercise, excessive sun and exposure to heat should be avoided.The consumption of alcoholic drinks should also be avoided so as to minimize the risk of temporary redness, swelling and/or itching at the site of the treatment. Following treatment, it is possible for some temporary injection-related reactions to occur. These might include redness, pain, firmness, swelling, and bumps. It has been demonstrated in studies that, when they occur, these are usually mild to moderate in nature and clear up on their own in a week or less. If swelling is experienced at the site of the injection, an ice pack can be applied for a short time. Results: An immediate improvement in the treatment areas should be seen. 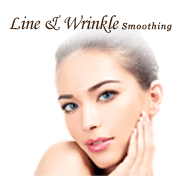 Most patients require only one treatment in order to achieve optimal wrinkle smoothing, and the results typically last between 9 to 18 months, depending upon the area treated and the type of Juvéderm™ employed. However results can vary from patient to patient and correction is temporary. 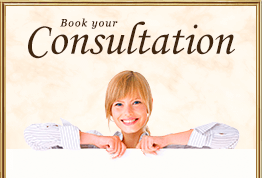 Supplemental touch-up treatments can be required to achieve and maintain the best outcome.